Coming your way once a week, join me on a whimsical, informative and at times profound journey into the depths of healing the soul………..mine……..yours………..the whole planet! The emphasis on satisfying the body’s needs continues in my household and it’s not just me! My dear Beloved has been suffering with an injury that is changing the way he treats his physical self, or at least is encouraging him to do things differently. Thank the Goddess that I am on the other hand experiencing greater strength in my body and increased energy. We seem to take it in turns when it comes to having big challenges and this time is no exception. So when we moved into a house sit this week I had to do all the packing and lugging over the day and then go and work an overnight shift that same evening. And I was tired but I managed it all without getting overwhelmed and was able to be there for my Beloved as an emotional support too. The fact that I was able to do that tells me that the healing program I am engaged in is working. That and also my approach when I have a lot to do which I call, slow and steady wins the race. So I am getting better and the pre-cancerous lesion is also looking like it’s changing, it seems to be fading which has to be good right? I will get it checked later this month but the signs are all good that using food as medicine is producing a much healthier body. Seems a bit bloody obvious really but we live in a world where the medical profession has completely ignored this fact up to now. I read an article the other day that talks about studies showing that cancer is a disease of the modern era. Again it seems very bloody obvious but there are so many vested interests that don’t want us to know this. And how it can be possible to treat cancer and other health issues without resorting to drugs or chemotherapy. Anyway that’s it for me now, I could go on and on about vested interests causing immense suffering but lets save that for another time. I am eating the right fuel for my body and feeling great so I am currently living proof of the efficacy of food as medicine! I’m not keeping up the promise of weekly posts at the moment but you know there are times when life takes over and you are too much ‘in’ the experience to write about it. Still there I think as it has been a big time for the love bubble of Kerry and Brendan. A 7 day juice fast which included 4 coffee enemas and as many trips into Brisbane (the closest big smoke) for my Beloved as he navigated the loss of his mum. Yes a big time indeed but this blog is primarily about sharing what goes on inside of me, my Beloved’s internal sea of shifting feelings and moods is his to share or not as he pleases. So for me the little bit of resistance that is curling up inside of me is all about finishing that last bit of work for my tax. Not actually such a lot of time required but getting to it seems especially challenging. This is more interesting than doing my tax! Oh it will happen as it always does and I will wonder why I made such a fuss, until next year’s deadline comes around once again. There is also a sense of satisfaction for me in having achieved some goals that required a lot of determination and effort on my part. I think there may be a part of me that wants a holiday, don’t have holidays much so maybe I’m being reminded that it’s time to plan a decent kind of break. I have a feeling that there are going to be some good changes in the near future that will help my Beloved and I to plan ourselves a nice holiday. In the meantime it’s onward and upward upon this amazing healing journey which encompasses the health and well being of both of us. It is a big adventure full of archetypes and different states of consciousness and we are both growing quickly which can sometimes seem tricky. So it’s all about self-care at the moment and riding the balance between that and economic reality, things like veggie juice fasting for any appreciable amount of time is expensive! But totally worth it as I do have the energy to keep the commitments that are required to keep the joint venture of our bubble of love on track for the Port of Optimum Health. And so it is! I’m writing this on day two of a fast and at the moment I’m feeling light and energised, full of sunlight if that makes any sense to you! So far I’ve only done two days of this particular process and my experience so far is that I can go up and down during the day so I’m hoping to get this post done while I am still on more of an up. I did this for two days last week and it conjured up a funny kind of space where my thoughts were often in a cloud of confusion, at times I felt quite lost. And so I’m here once again and there are similar feelings going on but I must say when I tune into my body it is actually quite content. There will be veggie juice fasting coming up soon but for now I am preparing by doing what is known as the Master Cleanse. It’s very simple, make up a mixture in the morning using two litres of water with lemon juice, maple syrup and cayenne pepper, that’s what you drink throughout the day. You can have herbal teas as well, especially if it’s cold, and where I live autumn is starting to be felt in the chilly nights, a welcome relief from a brutal summer. I always like to be as honest as possible on this blog so I am going to confess that I did have an almond milk drink on each of the two days of fasting last week. One was a Golden Milk which is a turmeric latte for those who aren’t familiar, and the other was a raw cacao drink with spices that I made for myself at home. I wouldn’t do something like this if I had any kind of hard physical labour to do, even though my body is feeling ok I do get a bit light headed at times and the feeling of being lost seems to sap my energy. I certainly won’t be doing any overnight shifts on no food, which can make it a bit tricky to manage three days in a row which is what I’d really like to do. Last week when I got up on the third day it felt like something had shifted and apparently most people find that by day three it becomes easier. This is a fast that you can do for up to 10 days so next week I’m going to try to at least do the three days and see how I feel. Then it will be on to veggie juice fasting and coffee enemas, oh the delights of getting my body back into balance! Some of the program is certainly challenging but I can honestly say after just over a month of doing this that I am feeling much healthier. I’ve lost some weight and I feel much lighter and clearer. I’m also feeling very motivated to keep the sweet in my diet to a minimum and to avoid processed sugar like it’s the plague. Which it kind of is you know, a plague that is destroying the health and vitality of people all over the world. Don’t get me started! But that will do for today, tune in next time for the next instalments in Kerry’s journey into optimum health. Open And Surrender Again And Again And Again…..
A post from four years ago popped up on Facebook today and instead of sharing it directly there I decided to re-blog it with some more pictures so it looks a bit more inviting this time. The message of opening to what is and surrendering feels very appropriate as I am so busy and feeling a bit overwhelmed by all that I have to do. 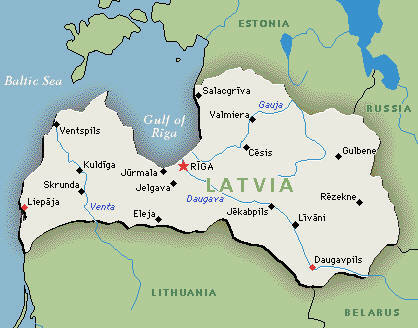 Thirteen years ago I was very excited at the prospect of going to Latvia, a very small country in Eastern Europe which is where my father and his family fled from during World War Two. My aunt Lena was taking me and I had my passport all ready with the visas and all of that, at the time I was feeling a great longing to connect with that part of my heritage, to feel the energy of the land. My aunt who was in her early seventies went for a medical not long before we were supposed to be going, the doctor didn’t like the sound of her lungs and so he sent her for an x-ray. That’s when we found out that she had cancer all through her lungs and all of a sudden my magical trip to discover my roots was cancelled. River scene in Riga Latvia. So instead of going to Latvia I went to Melbourne to look after my aunt, I had to help her shower and look after her so she could stay at home as long as possible but she was deteriorating very rapidly. I was there when she woke up unable to breathe properly, and went with her in the ambulance to the hospital. From that point she was in a hospice and on morphine, I stayed with friends and went to visit her every day. I was at a friend’s place one day waiting for her to come home from work, when I was drawn to a large chunk of rose quartz on the mantlepiece. I put my hand on it and I could feel energy flowing from the crystal into me, I had no idea what I was doing, I was simply following the flow of intuition. The next day as I held my aunt’s hand at her bedside, I could feel that gentle energy flowing from me into her, it was helping to ease her passing, a beautiful gift from the crystal realm. Everything that I had been told about crystals meant nothing to me until I had my own experience, from that moment on I began to move into a different relationship to the crystal kingdom. And the yearning to connect with my father’s land had subsided also, somehow that connection had been made during the time I spent with my aunt as she went through the dying process.